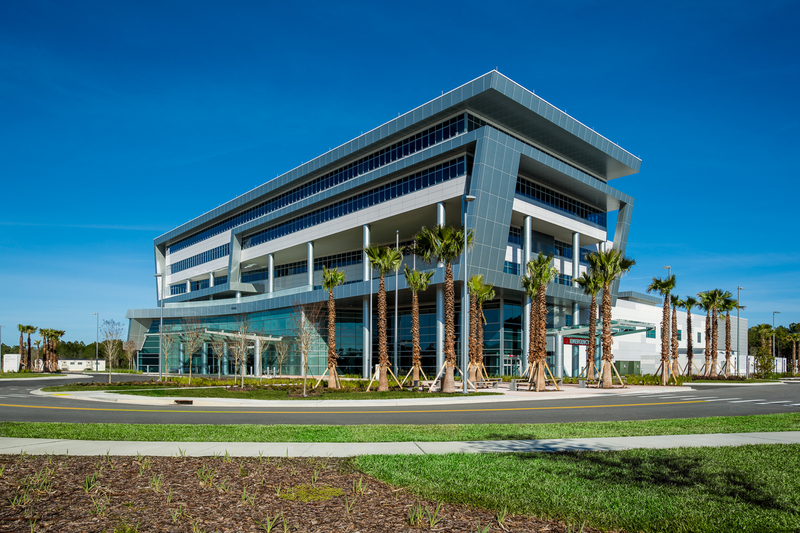 Graham Smith and Partners, architects of the new community hospital in North Jacksonville, Florida, combined a state-of-the art outpatient medical complex with a full-service in-patient hospital in a design that facilitated close collaboration between hospital care-givers and patient physicians. 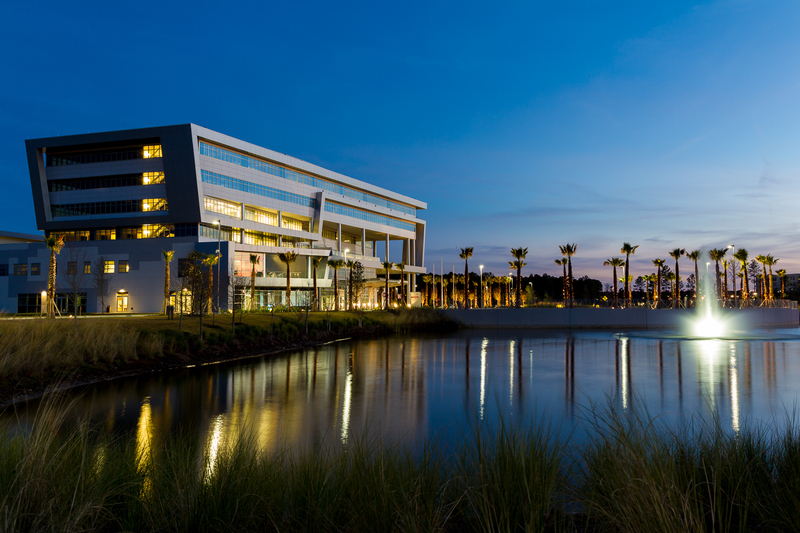 The complex integrated cutting-edge health technology with building elements that met the university’s requirement for both energy-efficiency and sustainability. This called for building-envelope protection in the form of StoTherm® ci Essence, which combines exterior insulation protection with a StoGuard® waterproof air barrier for protection against moisture intrusion. The handsome result is a next-generation health facility built to stand up to the inhospitable effects of humidity and rain characteristic of the region. Contractors Exterior Plus, Inc. applied Sto’s continuous insulation, and the project was supported by distributors Korbin Builders Supply in Jacksonville.